A complete & practical guide for new & aspiring bartenders want to land their first bartending job and become a better bartender, faster. 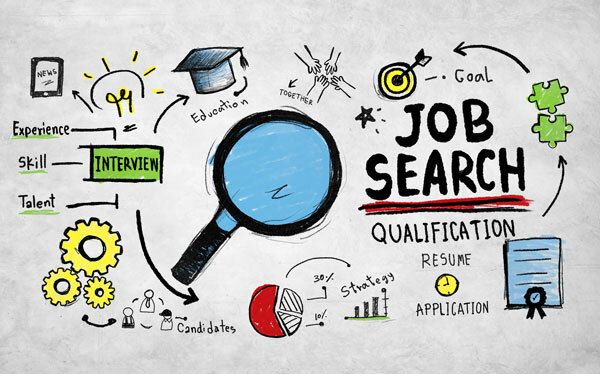 The Job hunting strategy system detailed throughout the manual is so effective that it's possible for you to land your first job within 3 weeks, sometimes sooner. This book has been written with beginners in mind. Regardless of your experience, you'll be able to use its strategies & systems, and learn all the skills necessary for becoming a great bartender. Everything useful that you learn at bartending school is covered in the manual - and more. So save your money and apply what you learn throughout this book instead ;-). The book follows a simple process for becoming a professional bartender and it’s been designed to directly complement on-the-job experience: get the job so you can practice & learn the skills in a real-world setting – 6-12 months later, live the dream! Becoming a professional bartender requires getting the job first. This book will teach you a step-by-step job-hunting system that works, regardless of your experience. To truly benefit from bartending, you need to be good at your job. The manual covers everything you need to know to confidently work in the majority of bars around the world. With the job and skills firmly secured, the only limitation is your imagination. Whether you choose to travel the world or save for a mortgage, the decision is yours. 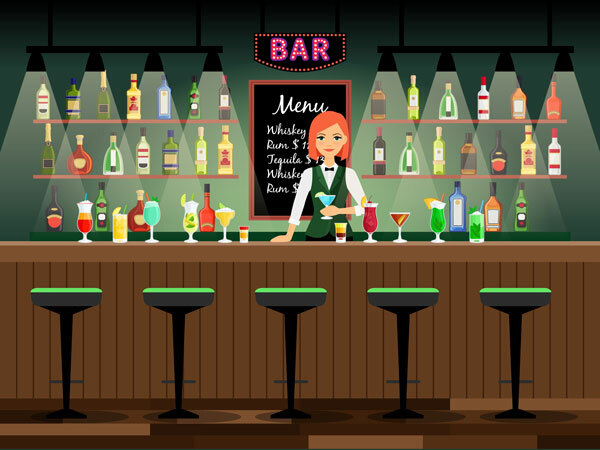 Everything you need to start and lead a successful career in bartending. The Bartender’s Field Manual is intended to be a reference manual that you’ll be ‘referring‘ throughout your career so it’s important for it to be quick and easy to navigate. The book comes with a comprehensive and clickable table of contents so you can quickly find exactly what you’re looking for. You have less than 30 seconds to impress the bar manager with your resume. 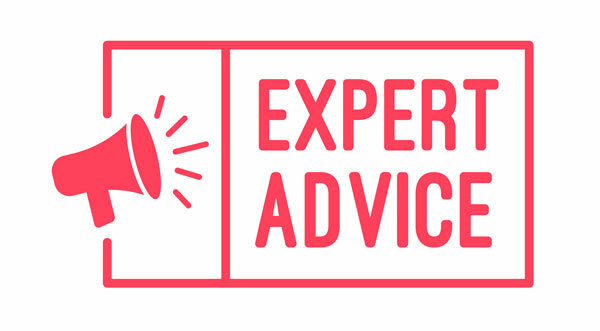 Needless to say, it’s important that you have a good one, especially if you have no experience. 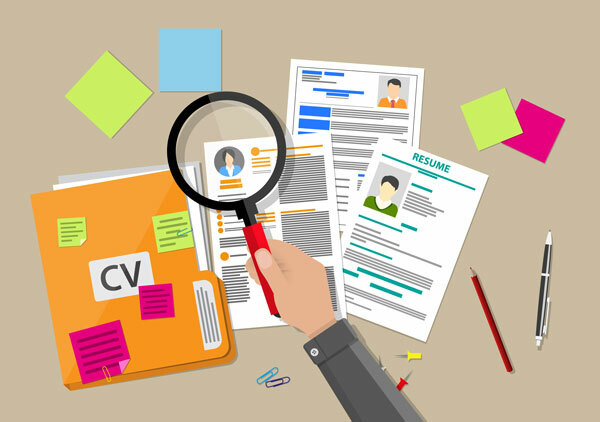 As a former bar manager, I’ve seen my fair share of resumes so I know exactly what to include to help your resume stand out in a sea of the noise. When you have no experience, you need a job hunting system that works so you can get paid and practice the skills in a real-world setting. The system detailed in the book is a step-by-step process that anyone can follow and it’s so effective that the last time I used it, 8/10 bars I applied for brought me in for an interview. Tips make up the majority of a bartender’s income. In some cases, it’s possible for a bartender to bring in over $600 a night! The Bartender’s Field Manual will teach you how they do it and how you can too. Spirits vs liquor? 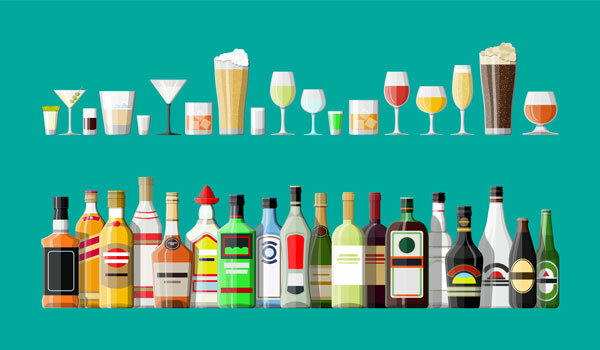 Liquors vs liqueurs? Where does beer come from? What’s a Pinot Noir? There’s no doubt the theory of alcohol can be confusing but for us bartenders, it’s important to learn. The Field Manual answers all your questions on alcohol so you can work with it and serve it like a pro. There’s nothing like making cocktails when you’re a bartender. It transforms your job into a craft that can be endlessly improved upon. The Field Manual gives you a complete masterclass in cocktails covering the principles of mixology, the tools, the techniques, the ingredients and more, so that you can confidently mix drinks behind any bar. Plus, you’ll get over 130 recipes to practice & play around with. 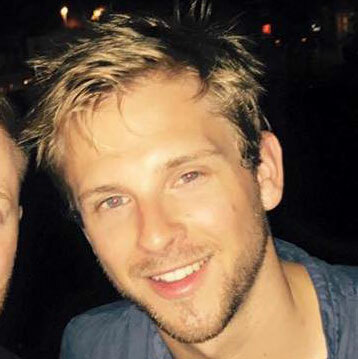 With years experience in the industry traveling the world and working in every position imaginable, I’ve learned a thing or two about how to make the most of your time behind the stick. This is the advice I wish I’d been given when I started out. I’m sure you’ll find it useful. 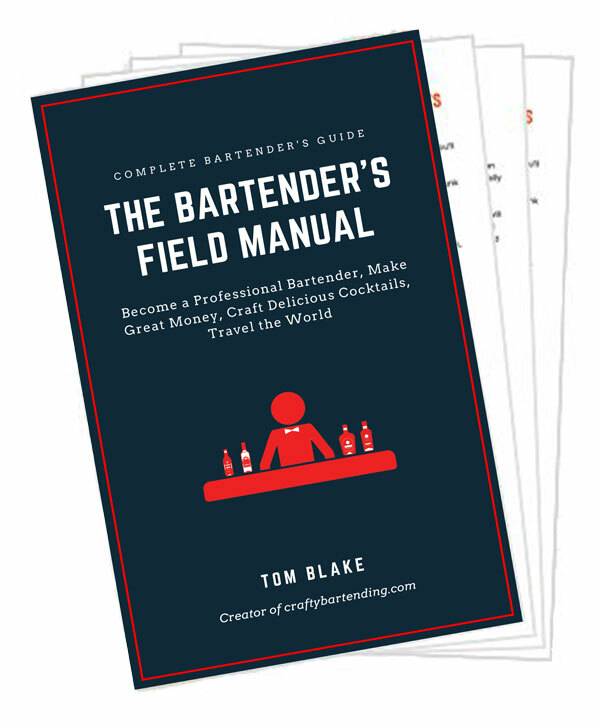 When you purchase 'The Bartender's Field Manual,' you also get access to 6 bonuses that will help you get started on the right track, including: a proven fill-in-the-blank resume template (the same one I've used my entire career), practice interview questions, and 4 recipe cheat sheets. Are you Ready to Become a Professional Bartender? How much time & effort have you already invested? 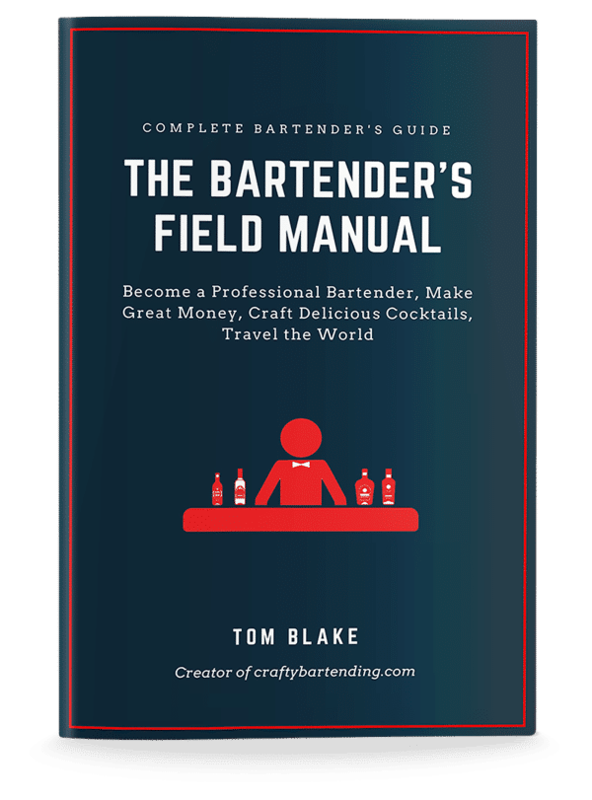 Whether you’re just getting started or you’re new to the industry, The Bartender’s Field Manual will help you become a better bartender, faster. I know how hard it can be when you’re new to the industry and you’ve got no experience. Landing your first job is tough, and then you’ve got to learn all the skills that come with being a bartender. It’s a lot for anyone to learn. I created the blog Crafty Bartending to help with that, and the Bartender’s Field Manual is the book-format, way-more-actionable version of the blog. It condenses the most important insights about all aspects of bartending, and gives you the best building blocks to accelerate your career and become a great bartender fast. Every Purchase of the Bartender’s Field Manual comes with a 30-day money back guarantee. 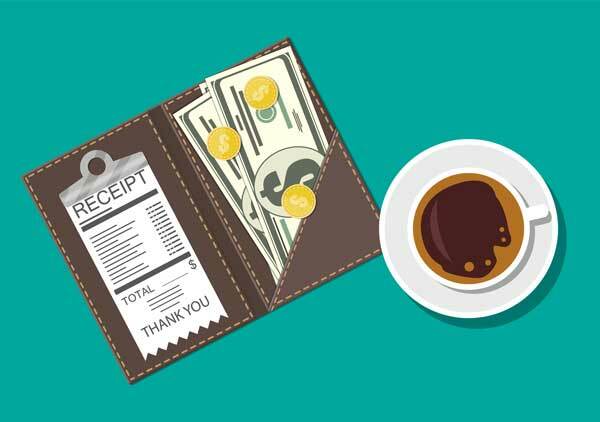 If it isn’t everything you need to start a successful career in bartending, contact us and we’ll happily give you a full-refund. No questions asked and we can still be friends after :-). Decision time... Let's do this! Still not convinced? Get a feel for what the book is like first by downloading the first 4 chapters for FREE.